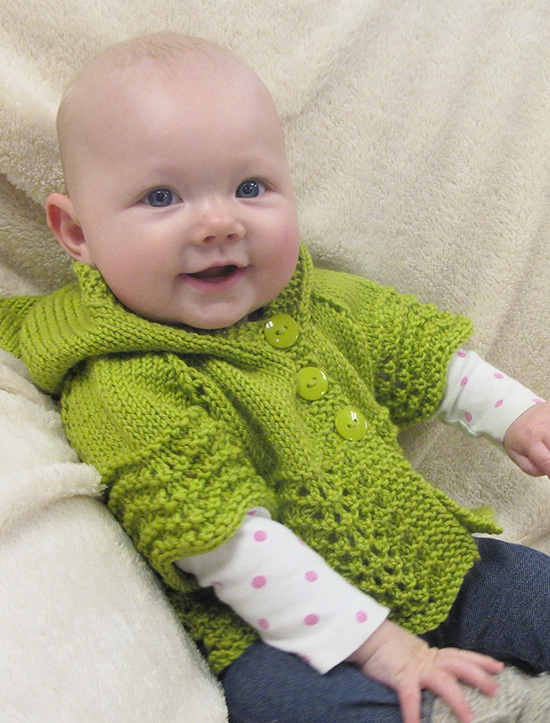 A fast to knit summer style for the smallest ones. A top down short sleeved hoodie made with dk weight yarn. The lace pattern is easy to work and keep track of. Closes with 3 buttons. Makes a great fast gift! Gauge is 20 sts to 4 inches. 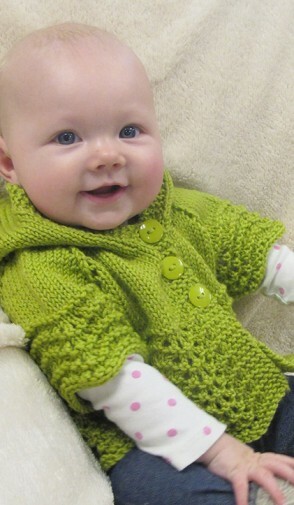 Sizes newborn to 18 months.